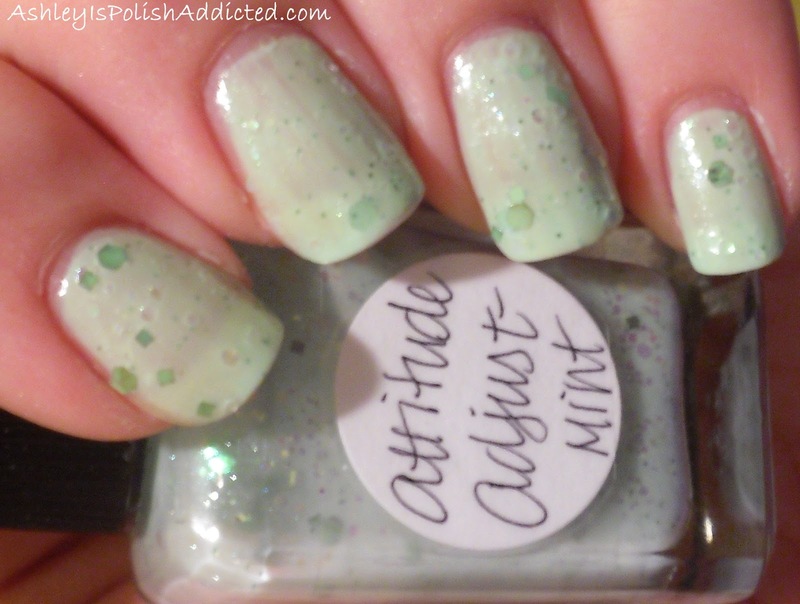 Lynnderella Attitude Adjust-Mint is a mint colored (obvioulsy - LOL) polish with green glitters in various shapes. This is definitely one of the more subdued Lynn polishes but it is very pretty and delicate. The application of this was very nice but it was very sheer. I put 2 coats of AA over another mint green colored polish and I can still see my nail. I would recommend layering it over an opaque mint green, I think it would look much better. What do you think of this more laid-back Lynn? I think I would have liked it better had it not been so sheer. 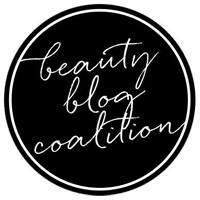 For purchasing information for Lynnderella polishes follow Llarowe on Facebook to find out about the wishlist process. I agree. I think either make it more pigmented so it can be worn alone or make the base clear so it can be layered. I felt like this one was in some sort of weird limbo and was very hard for me to wear.